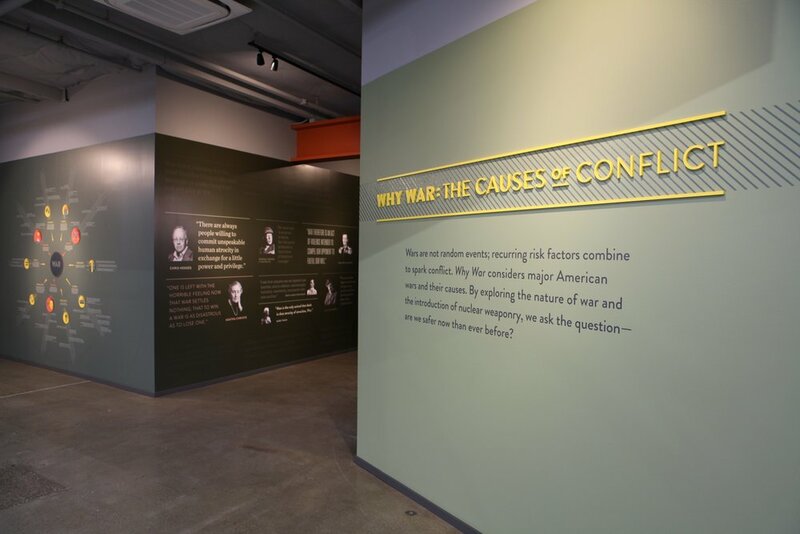 Why War: The Causes of Conflict explores the common causes of military confrontations throughout US history. It combines unique media experiences with carefully curated artifacts to create an engaging and moving experience. Visitors can examine conflicts through the lenses of key figures, technology, and pop culture. 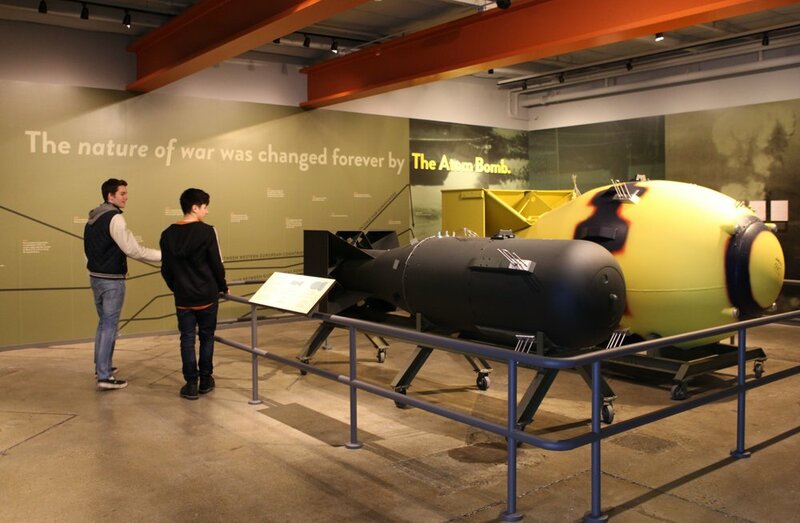 The interactive features of the exhibit allow families, community groups, and school classes choose how they want to explore this complex topic. 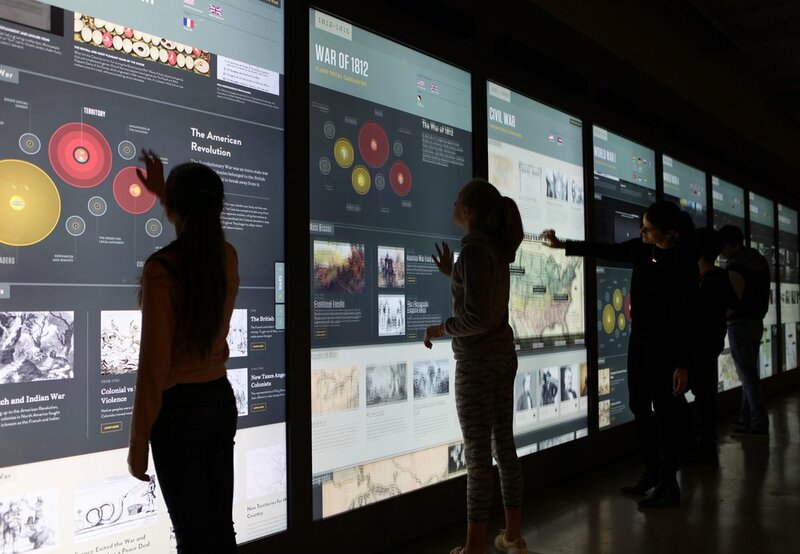 Highlights include; a Data Visualization Wall comprised of eight 98-inch large-scale touchscreens that allow visitors to explore and discover the causes, setting, events, and icons of major American conflicts throughout history. A Nuclear Heat Map touchscreen installation that encourages visitors to explore the rise and fall of nuclear arsenals. Full-scale replica's of Fat Man and Little boy and a B-57 missile. A "Conflict Simulator" interactive that allows visitors to play 'world leader' and try their hand at diffusing a conflict and 'Chronicles of War' a touchsreen data-base that showcases first hand stories of individuals directly involved in wars.